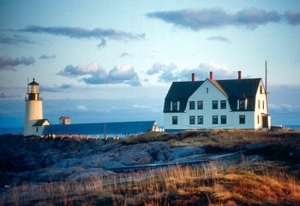 Moose Peak Lighthouse, courtesy lighthousefriends.com. A robust man unafraid of hard work, Alexander was determined to make the parish a reality. While still in college, he had taught in small coastal and island schools, becoming familiar with the struggles of remote communities isolated by lack of transportation and communication. The brothers knew life was tough on the islands, especially for lighthouse keepers’ families that had very little education and no health care. The MacDonalds’ dream was to provide needed services to these people. To aid them in their efforts, the brothers contacted other coastal pastors, as well as, summer residents for support. The response was “most hearty, for all recognized the great need of such work,” according to one of the early mission bulletins, and the Maine Seacoast Mission was established. The MacDonalds purchased a sloop named Hope and began sailing to nearby islands. The following year a Bar Harbor summer resident donated his motor yacht to the ministry. Named the Morning Star, the "staunch little launch" captained by Alexander MacDonald, cruised the coast during the summer. The brothers organized Sunday Schools, held church services, and cared for the sick. They also helped secure better public schools, started a circulating library and distributed literature. Some ministers arrived at the islands in unusual ways. Alexander MacDonald wrote, "We have storms, fogs, adverse winds, and strong tides to contend with, but our warm reception makes us forget such difficulties. I am ever grateful to the many friends who make this mission possible. My aim is to build so that others can continue to build on the foundation now being laid, so that the people all along the coast may be uplifted socially, morally and spiritually." The determined minister petitioned state agencies and charitable organizations for textbooks and teachers, medical equipment, money, and volunteers. 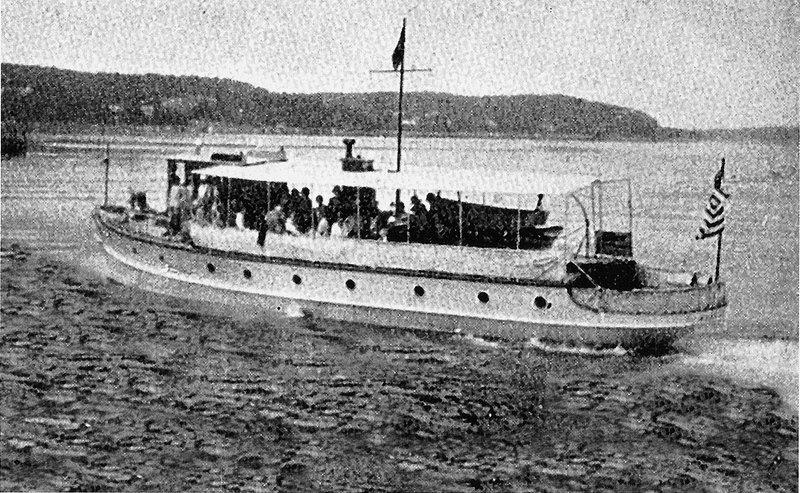 In 1912, another Bar Harbor summer resident donated $7,000 to build the first mission ship, a 57-footer. 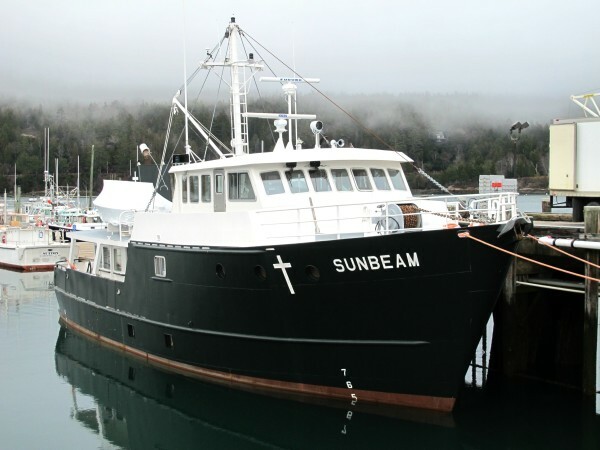 The daughter of the lightkeeper of Moose Peak Lighthouse on Mistake Island chose the name Sunbeam for the new boat, a name that signified the cheerful trust the islanders felt toward the Mission. The new ship was better equipped with berths for emergency runs to mainland hospitals. Its durability allowed MacDonald to expand his time on the water beyond the summer season, reaching light stations and as many as 300 islands that were occupied year-round. "Mac," as he was called, performed marriages, funerals, and Sunday services in his pastoral role. But beyond that, he brought the latest news to lonely islanders; encouraged them to plant gardens to improve their diets, often bringing them flour, vegetables, and meat. To care for their medical needs, he transported physicians, nurses, and dentists to the islands and carried the seriously ill back to mainland hospitals. In 1916, the Mission hired a teacher for the children living in the many lighthouses along the coast, and the Sunbeam served as their classroom. 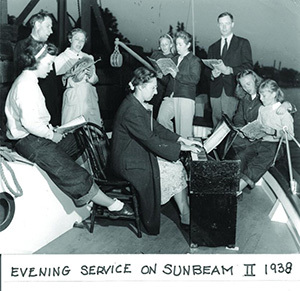 MacDonald also began a tradition of adding Christmas gifts for island children to the Sunbeam’s cargo. 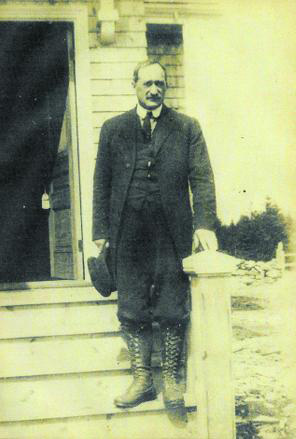 When he died in 1922, brother Angus MacDonald stepped in as supervisor and the society established its first dedicated headquarters in Bar Harbor. The mission continued to meet the needs of islanders, helping to bring telephone service to the far-flung islands. 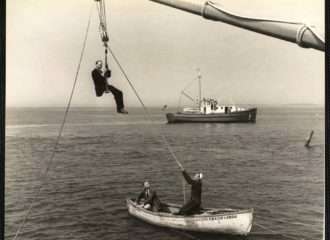 In 1926, Sunbeam II was launched, replaced by Sunbeam III in 1939, the society's first fully year-round boat, fitted for ice-breaking and equipped with accommodations for overnight stays, emergency transport, and dental clinics. The steel-hulled Sunbeam IV was launched in 1964 and was replaced by the current ship, Sunbeam V, in 1995. Today, far less people live year-round on Maine's islands and technology helps make living conditions better than they once were. However, the Maine Seacoast Mission continues to carry on its tradition “lighting the way by land and sea,” making life better for Maine’s coastal communities. “We respond to needs and concerns as we see them,” says current Mission President Scott Planting. For more information, visit www.seacoastmission.org. Multi-published author Marilyn Turk calls herself a “literary archaeologist,” because she loves to discover stories hidden in history. Her World War II novel, The Gilded Curse, won a Silver Scroll award. When readers asked what happened to the characters after the book, Marilyn wrote the sequel, Shadowed by a Spy. Her four-book Coastal Lights Legacy series—Rebel Light, Revealing Light, Redeeming Light, and Rekindled Light—feature Florida lighthouse settings. In addition, Marilyn’s novella, The Wrong Survivor, is in the Great Lakes Lighthouse Brides collection. Marilyn has also written a book of devotions called Lighthouse Devotions. Marilyn also writes for Daily Guideposts Devotions. 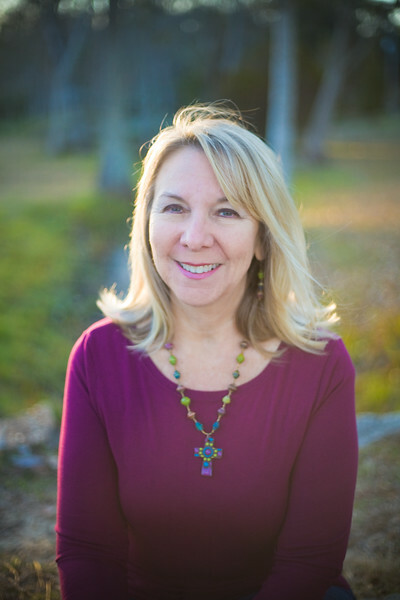 Marilyn is the director of the Blue Lake Christian Writers Retreat. http://bluelakecwr.com. Thanks for the post, Marilyn. I am unfamiliar with this organization and glad to hear of its history and that it continues to serve. What a wonderful ministry. Hi Linda. Thanks for reading the post and commenting! I loved finding out about this ministry. I've never heard of this! I'm happy to hear that it still exists! Living in Maine, I'm going to have to do some digging and see if I can find current news of this organization. Thanks for the post. Hi Connie. Thanks for your comment! Hopefully, you'll find some current news about the organization. This is a ministry that is new to me. Thank you for sharing. Reading about their early struggles reminded me of Paul and his shipwreck. Thank you for sharing. Thanks for your comment, Marilyn. You may hear of this ministry in one of my future books!